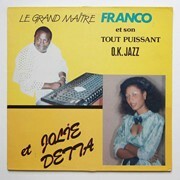 In 1986, Franco for the first time ever made a recording with a female artiste. Her name was Jolie Detta, a daughter of a Greek father and Zairean mother. The tall and breathtakingly gorgeous Detta was relatively unknown up to this point. She had previously sung with CHOC stars. 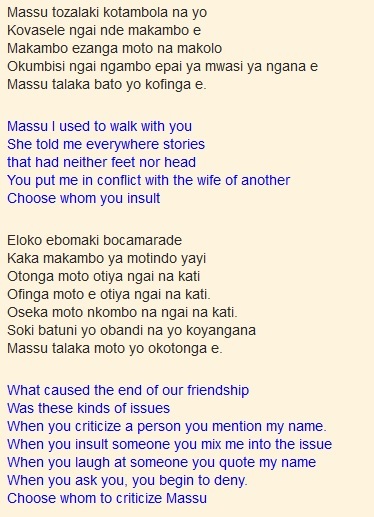 Detta performed two songs on this album namely Massu and Layile, both composed by Franco. The album catapulted Detta to instant fame. In 1986 she accompanied Franco on a tour of Kenya where she performed to the delight of Kenyan fans for whom Massu and Layile were huge hits. 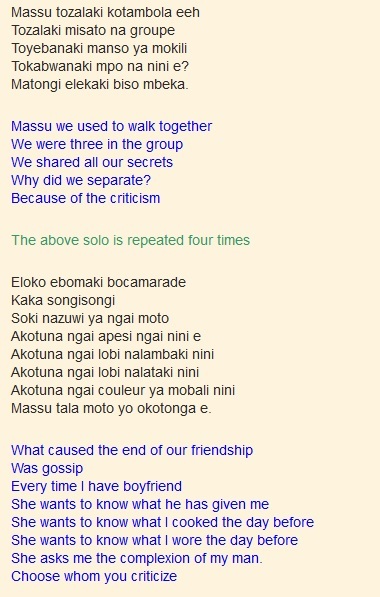 She would later leave to join Anti Choc where she sung duets with Bozi Boziana. This entry was posted in Franco & TPOK Jazz songs, Songs, TPOK Jazz songs and tagged Franco & TPOK Jazz songs, Jolie Detta. Bookmark the permalink. I love your work, keep the good work. Jolie Detta, i wish i was bron in 70s. That i could be hanging around with her. This is pretty excellent work. Keep up, guys! in the early90s, every sunday my Dad used to play these types of Songs while drinkin at home. I vividly remember jolie’s voice.